Show your love for Troost Avenue Lawn Neighborhood. Handmade ceramic mug made by Archival Designs Pottery and Tile Studio, located in the Crossroads District of Kansas City, MO. 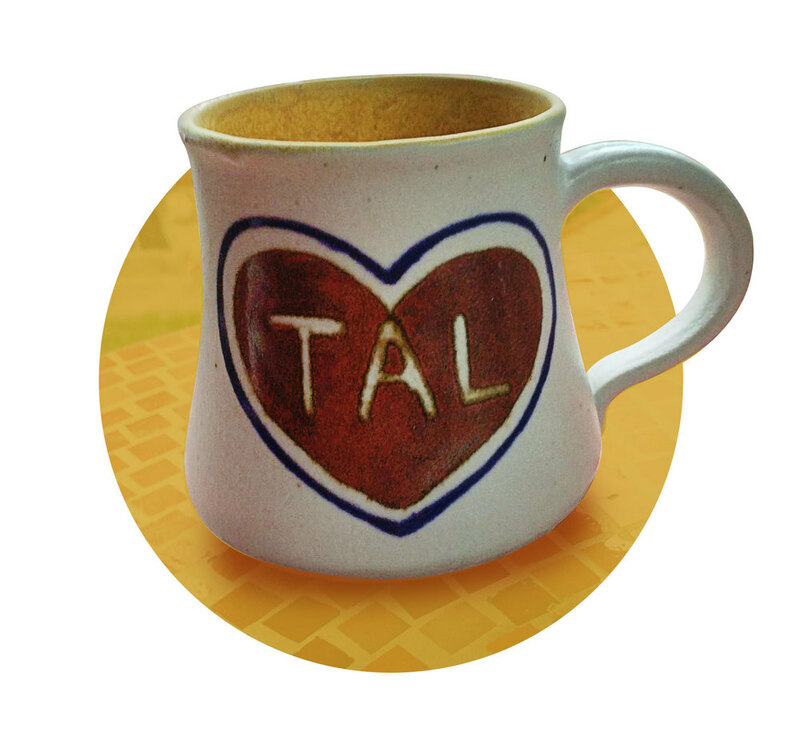 Each mug is handmade and individually glazed, with letters "TAL" representing the Troost Avenue Lawn Neighborhood of Kansas City. For every mug purchased, Archival Designs will donate $10 to support future activities and events for the neighborhood, such as our annual Block Party, Dumpster Day and Porch Crawl. To order, click link below to submit an email order to Archival Designs. You will be sent an invoice to verify and complete the order. Orders will be available for pickup at Archival Designs Studio in 4-6 weeks.